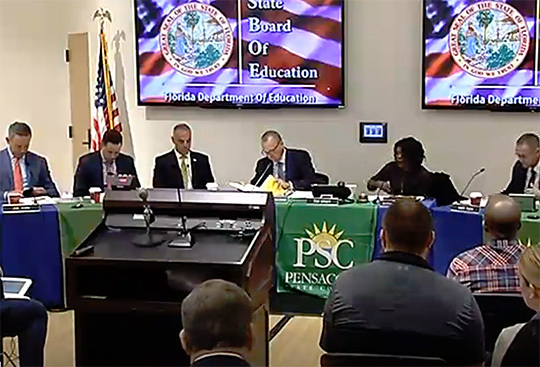 Those issues drew discussion Wednesday during a State Board of Education meeting in Pensacola that also included new appointee Andy Pollack taking his seat on the board. Pollack’s daughter Meadow was among 17 students and faculty members killed in February during a mass shooting at Marjory Stoneman Douglas High School in Broward County. Escambia County Superintendent Malcolm Thomas, representing the Florida Association of District School Superintendents, outlined a handful of major issues facing public schools, including a need to provide support to districts that face rebuilding or replacing schools damaged by Hurricane Michael. Board Vice Chairman Andy Tuck also raised a question about whether the hard-hit counties face an exodus of students — an issue that could affect the amount of money districts receive through the state’s school-funding formula. “When you start losing students, it’s just going to make it that much tougher,” Tuck said. The Category 4 Hurricane Michael made landfall Oct. 10 in Mexico Beach in southeastern Bay County and caused billions of dollars of damage as it roared north into the Georgia. In its path were rural, relatively low-income areas such as Calhoun, Liberty and Jackson counties. Escambia County was far enough west that it was spared significant damage, but Thomas said that it has received students who moved away from Bay County after the storm. Education Commissioner Richard Corcoran, a former House speaker and budget chairman, indicated the state would work with the hurricane-damaged counties to determine the financial impacts and provide help. Requests for help also could extend to state colleges in Northwest Florida. Palm Beach State College President Ava Parker, representing college presidents at Wednesday’s meeting, said the state also needs to look at the financial impacts of the storm on Gulf Coast State College in Bay County and Chipola College in Jackson County. 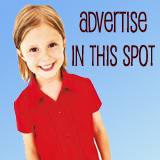 Lawmakers will start the annual legislative session March 5, with education funding always a major point of discussion. But during this year’s session, they also will deal with school-safety issues that emerged after the Feb. 14 mass shooting at Marjory Stoneman Douglas. House and Senate education committees next week are slated to receive presentations on a report by the Marjory Stoneman Douglas High School Public Safety Commission, which was created by the Legislature and spent months delving into the shooting incident and ways to improve security. One of the biggest debates likely will focus on having armed school personnel on campuses. While schools have long used law-enforcement officers, known as school resource officers, a law passed last year also allowed the use of armed school “guardians” — trained school personnel whose primary job duties are outside the classroom. The commission recommended that classroom teachers be allowed to carry guns, though that idea was highly controversial when raised last year. School districts have used different strategies to put armed security on campuses this year, but Thomas, the Escambia County superintendent, said the issue “remains a challenge.” When asked by Pollack for further explanation, Thomas said, for example, that his district chose to use off-duty law-enforcement officers to provide security, rather than guardians. But he said the Escambia County sheriff “can’t afford to give up 32 deputies to go to 32 elementary schools, as much as he would like to.” Thomas suggested possibilities such as employing private security firms and using a centralized training system for guardians across the state to ease local training burdens. Image courtesy The Florida Channel.